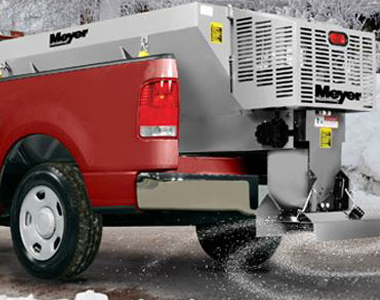 Maximum power and performance is provided with this Meyer MEY64448 Electric Salt and Sand Spreader. All the power you need is offered with the 12V dual electric motors for maximum power to get your job done in less time. 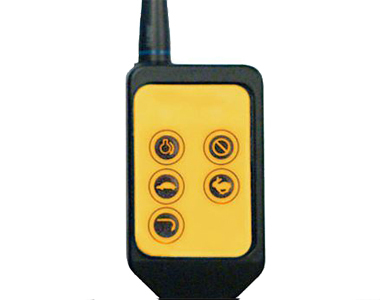 Control the conveyor, spinner speed, and switch the blast mode on from inside your cab using the in-cab speed controller. Blast mode eliminates slippery spots by concentrating on heavily packed areas. And, carry up to 5400 lbs. of material in the 54 cu. ft. hopper for less fill up times. 12V Electric Engines: Get maximum power from the ½ Dual Electric motors to break up clumps. Blast Mode: Blast hard packed areas to eliminate slippery areas. 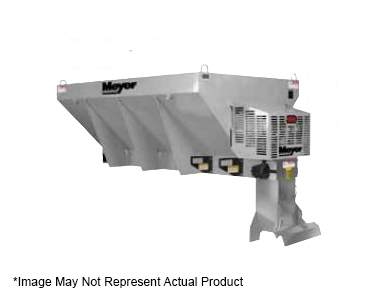 Ask us about the Meyer PV Dual Electric Insert Hopper Salt Spreader. Please no repair questions. Your Q&A may be posted to SnowblowersAtJacks.com to help other shoppers, like you, with their purchasing decisions. Thank you.